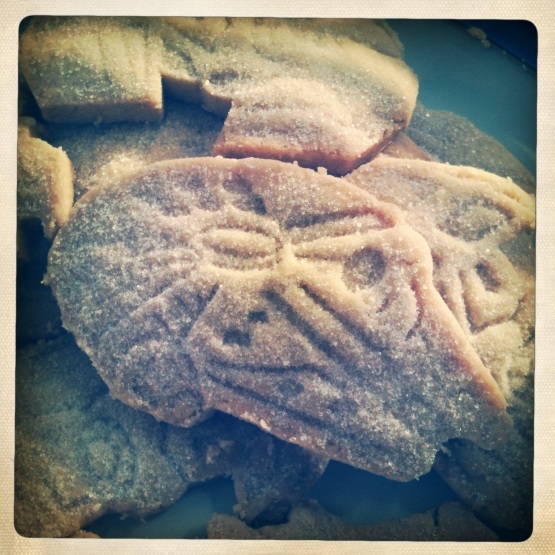 This entry was posted on 11/04/2011 at 1:05 pm and is filed under Baking, Biscuits, Scottish food with tags Baking, Biscuits, Cookies, Recipes, Shortbread, Star Wars, Star Wars shortbread, Williams-Sonoma. You can follow any responses to this entry through the RSS 2.0 feed. You can leave a response, or trackback from your own site. Glad you like it – I cannot recommend Williams-Sonoma enough for cool supplies – they’ve got loads of Star Wars stuff!